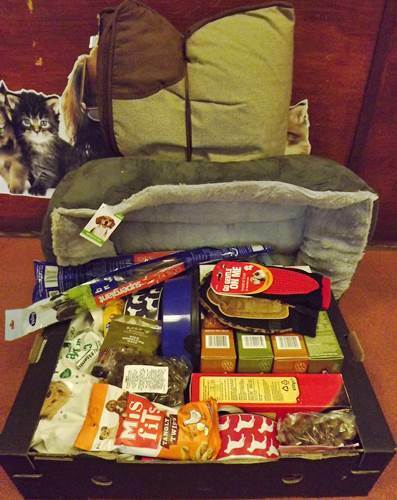 We would like to say a huge thank you to Siobhan Beaudin for the very kind donation of beds, bowls, food and treats she has brought in for the dogs. She has been collecting for months and brought them in today – it’s Christmas come early for our residents! We are so grateful. Thanks again for thinking of us! This entry was posted in Thank yous on 8th October 2016 by admin.